Art may be defined as a creative medium in which people can express themselves or their opinions. Art ultimately aims to give a message to its viewer whether it’s an emotion, an ideology or for entertainment purposes. Science is defined by the objective principles that govern different aspects of our world and lives. Theories are suggested, tested for their validity through peer review, then later challenged to result in the strongest explanation for phenomena which occur. It can be considered less flexible than art. 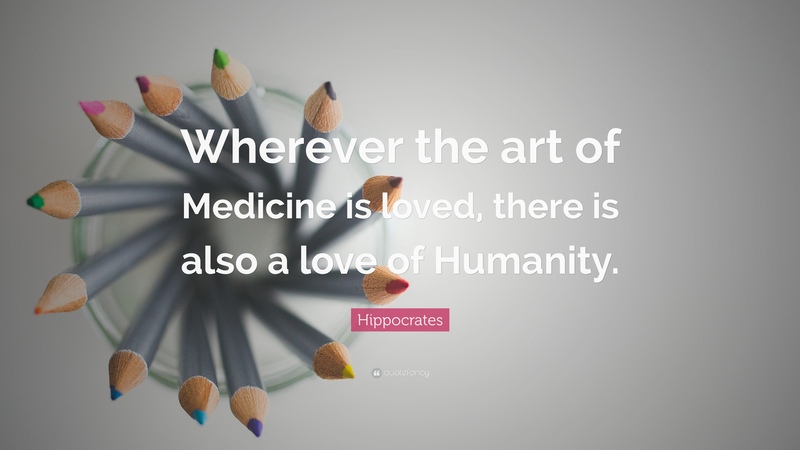 Medicine can be considered an art in many ways, one of which is through the role of a surgeon. Surgery is often described as an art by those who practise it due to its practical natural and the high level of skill and dexterity that it requires. The variation between every person’s body means that the surgeon must use a certain flexibility in order to mould a procedure to success for a particular individual. Additionally, the description of medicine as being the “art of amusing the patient” implies that the skills of communication and being able to effectively reassure a patient is also an art form. It has been suggested that a visit to the doctor alone can cure a patient providing the doctor can provide the patient with confidence and reassurance. However, it cannot be denied that medicine is based of the scientific principles of the mechanisms of the human body. A doctor will not be successful in his role if he does not firmly understand and apply the biochemistry, anatomy and physiology of the human body to his dealings with patients. Research is a huge field within medicine which requires strict adherence to scientific principles. Medicines must be meticulously tested through a scientific procedure before being released to the public. This emphasises the relevance o objectivity within medicine. Overall, I conclude that medicine is a scientific process as theories and ideas still follow the scientific process. However, it does require the use of creative and typical artistic skills to allow effective application of its scientific base. Previous articleDebates"A LITTLE BIT OF PAIN IS GOOD FOR YOU."